Emma Watson may not have been present for the Oscars, but she, along with every other celebrity in Hollywood, made an appearance at one of the many afterparties. The actress and activist walked the carpet at the Vanity Fair party in a simple black dress with an ornate, gold neck piece. It wasn’t her outfit that made headlines though, rather the prominent Time’s Up temporary tattoo that she wore on her forearm. As a prominent leader of the Time’s Up movement and staunch supporter of feminism and equal rights, Watson has to be careful that everything she does and says lines up exactly with what she believes. It only takes one slip up to be branded a hypocrite or disingenuous…which is exactly what happened with her tattoo. It turns out that graduating from Brown with a degree in English doesn’t make you impervious to all grammatical errors. 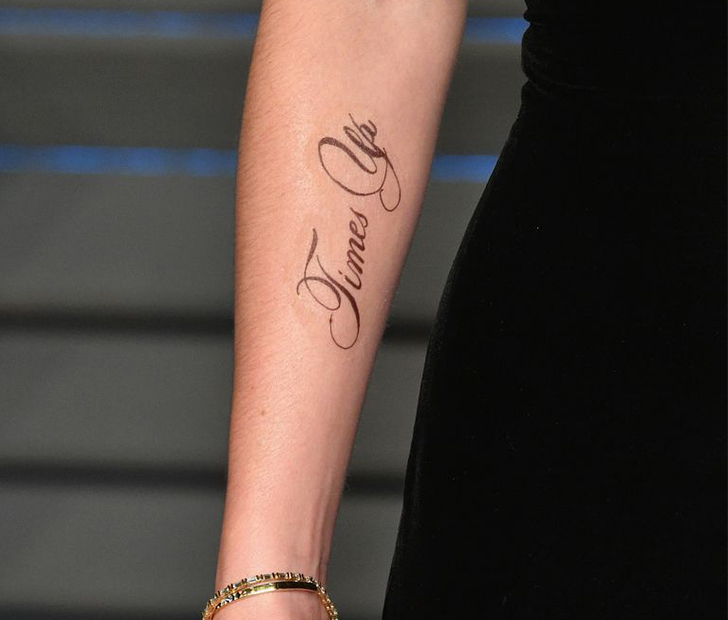 It didn’t take long for the internet to point out that her tattoo read, “Times Up,” instead of using the correct punctuation of “Time’s Up.” It may have just been a tiny apostrophe, but a lot of people made a big deal about it. Watson handled it with the usual grace and charm that she’s famous for. She took to her Twitter to send out a brief, but witty acknowledgment that she may need help in the proofreading department.